Cameron Mackey believes there are a number of 2020-related issues shipowners are 'struggling with'. The chief operating officer (COO) of Scorpio Bulkers Inc, Cameron Mackey, believes there are a number of issues that ship owners are currently "struggling with" when looking at whether to install scrubber technology or use a low-sulphur, 2020-compliant fuel. Speaking during the company's last earnings call, Mackey referred to three main concerns surrounding the implementation of the International Maritime Organization's (IMO) 0.5 percent sulphur cap in 2020: how refiners and bunker prices will react; future changes in scrubber regulation; and the effectiveness of scrubber technology. "The one [issue] that receives the most attention is how refiners will respond, how prices of the various fuels will respond," Mackey said. "Getting [to grips with] that is one element that I think a number of owners, not just ourselves, are dealing with." 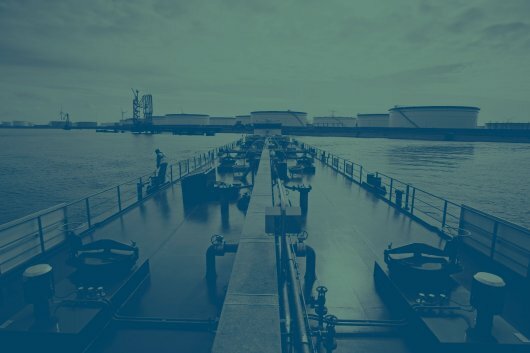 The Scorpio Bulkers COO referred to a recent report by Wood Mackenzie, which states that global bunker costs could skyrocket when the International Maritime Organization's (IMO) 0.5 percent sulphur cap for marine fuels becomes effective in 2020. "A combination of higher crude prices and tight availability of MGO could take the price of MGO up to almost four times that of fuel oil in 2016, and eventually cost the entire industry an additional US$60 billion annually," Wood Mackenzie said in February. Voicing his concerns about future changes to scrubber legislation, Mackey explained that his company believes it is inevitable that existing rules will be changed to enforce the use of closed-loop scrubbers. "One of the biggest concerns we have about the scrubber regulations is this concept that by virtue of taking pollutants in the air and putting them into the sea, you're actually making the problem disappear. Well, we know that's not the case and we consider it only a matter of time before closed-loop scrubbers become required, not just open-loop scrubbers," Mackey remarked. Mackey said Scorpio Bulkers was "looking at" scrubbers, but stressed that for many companies the jury was still out. "Another factor people are struggling with is existing scrubber technology and whether it really works well or not. The cruise industry and ferry industry, for example, have a lot of experience here and we're learning a great deal from our conversations with them." "There still is time. We're sceptical of the regulatory landscape in light of other experiences in our industry, but watching it very closely and we'll make a decision as we get closer to  or get our heads around some of these assumptions," he added. Last week, Scorpio Bulkers announced a net loss of $34.564 million for the fourth quarter of 2017, compared to a net loss of $58.260 million during the corresponding period last year. Vessel revenue was up to $34.728 million from $10.244 million the year before, whilst total operating expenses dipped to $60.901 million from $61.436 million.